Fred Kaplan says the nixed candidate for ambassador to South Korea was no dove. The Trump White House nixed a well-qualified candidate who discouraged a preventive military strike against North Korea. 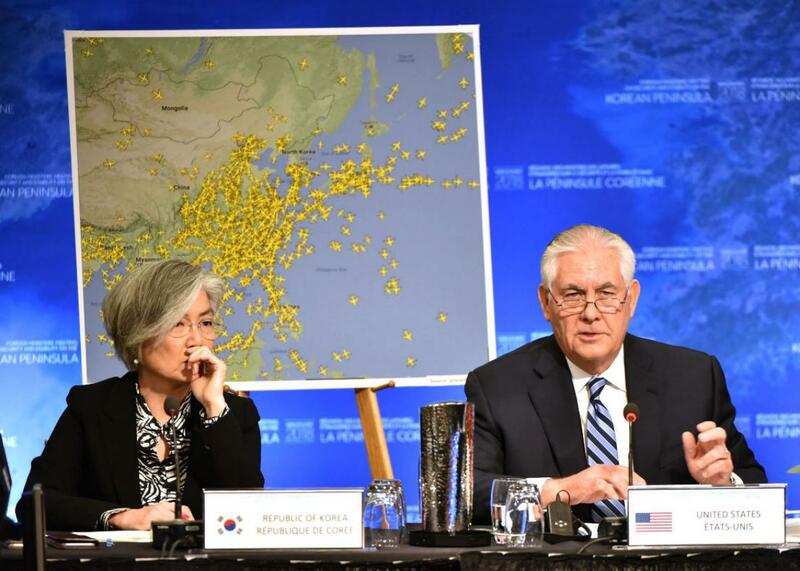 South Korean Foreign Minister Kang Kyung-wha and Secretary of State Rex Tillerson in Vancouver, British Columbia, Canada on Jan. 16. On The Gist, Trey Gowdy bows out. Fred Kaplan explains why foreign policy experts are concerned by the Trump administration’s move to renege on its choice of ambassador to South Korea at the last minute. Kaplan writes the War Stories column for Slate. He is the author, most recently, of Dark Territory: The Secret History of Cyber War. In the Spiel, you know what they say: The president who claps the loudest pleases the crowd best.